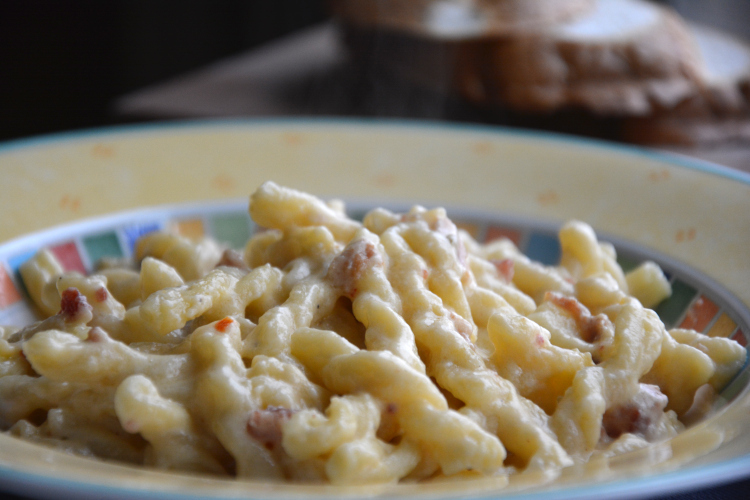 Gemelli are a type of pasta whos name comes from the Italian word for twins. These are the little, twisty shaped pasta and they do a splendid job holding sauce and flavors in their little nooks and crevices. 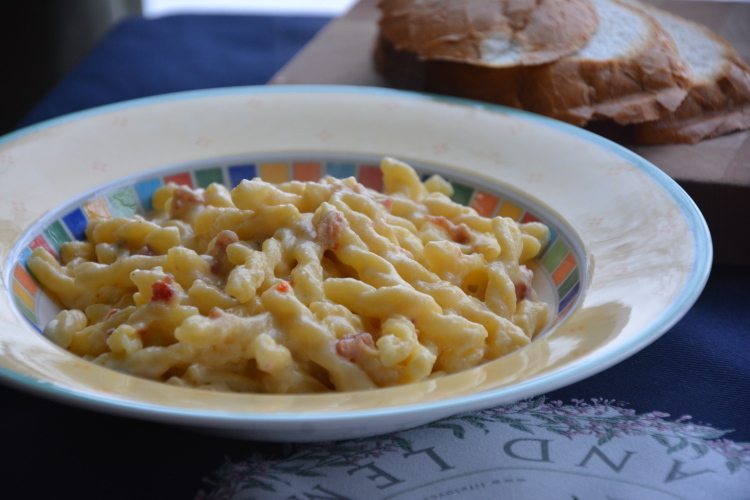 I used organic gemelli in this recipe. I think that organic, whole wheat gemelli would also work well, and it would be a bit healthier. 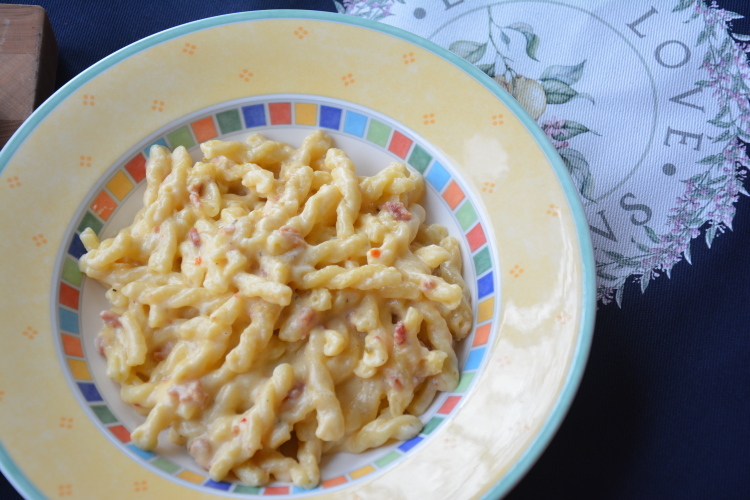 Although, let’s not kid ourselves, this is a somewhat sophisticated twist on macaroni and cheese, and, while really delicious, it is loaded with fat, calories and carbohydrates. It’s wonderful as an occasional indulgence. Bring a large pot of salted water to a rolling boil. Add gemelli pasta and return to a rolling boil. Cook 8-10 minutes for al dente and 10-12 if you prefer your pasta softer. Before draining, reserve one cup of the starchy pasta water. While the pasta is cooking, melt butter in a saucepan and add flour, whisking to make a roux. Add milk, mascarpone, salt and pepper to taste. Cook over medium-high heat, stirring constantly until the milk mixture thickens. Then add remaining cheeses and bacon. Stir well and then toss with cooked gemelli. If necessary, add some of the pasta water to thoroughly coat, but you should not need it.